So I had the opportunity to read and review Ack the Book and I must say that I really enjoyed doing so. Jennifer reminds me a lot of my self. I could totally relate to her and the type of day she faces daily. Totally relate! In fact, I think most of us moms can relate. The load that comes along with motherhood is heavy. Just plain heavy and as many of us moms know there are days that we could truly benefit from a light hearted illustration to help to put things back into perspective. After reading the short, fun and geniusly illustrated book I immediately felt lighter. You know that feeling of lifting a small weight off of your shoulder. The animation took me to a place of thought when things were simple. As I sat my book next to Aria's I was reminded that there are those times in everyday life situations where we really have to take things back to baby steps. Funny enough when I finished the book it dawned on me that the key to better days are really just that simple. I took away three critical thoughts from Ack The Book. We are what think - As simple as this statement is, we often forget that our very own thoughts determine our actions which ultimately control our day. I have a pretty bad habit of starting the day with my thoughts scrambling around what I need to tackle for the day. Honestly, I am generally overwhelmed within the first half hour of my day because of my brain scramble. We must take control - We must hold ourselves accountable for our own thoughts. Sometimes we may have to put our very own thoughts in check. I realized that I am guilty of starting some of my days in an already defeated disposition because there is always so much to be done. I can change this simply by redirecting my thoughts to a more positive outlook. No bad vibes - We must manage our energy - Energy is everything. What we put out there we get back in return. Also, what we allow around us can have an affect on our thoughts which ultimately controls our day. 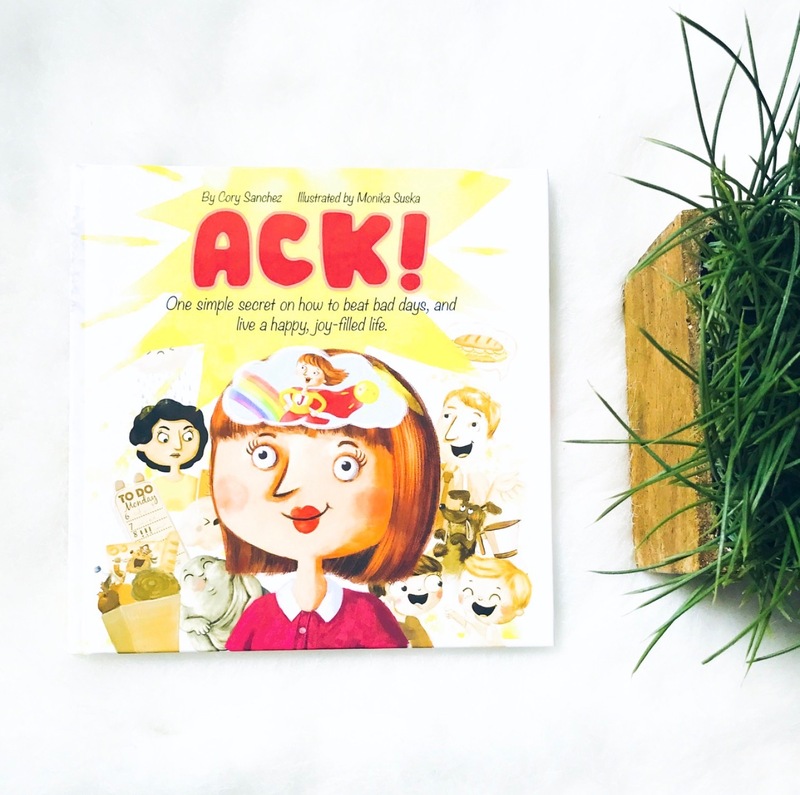 Ack is available on Amazon and in my opinion would serve as a very unique and fun stocking stuffer for the busy mom in your life.